Though Floatation Therapy has been in existence for over 30 years, it is only quite recently that it has really gone main stream at Spa Wellness Centers and destination spas in many parts of the world and become part of spa packages and treatment options. Pioneered by Dr. Lilly in 1954, Isolation Tanks were first used in sensory deprivation experiments, but later evolved into today’s Flotation Tanks as a means of treating acute stress related ailments and pain. 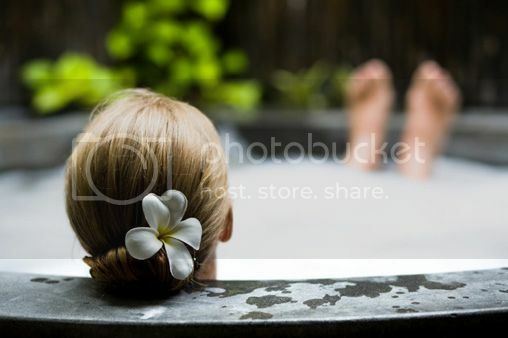 Many spas have since added pools, water chambers or individual Flotation Tank facilities for use in their Floatation Therapy programs, which simply put, involves lying quietly for an hour suspended in a skin temperature solution of Epsom Salts about 10” deep, so dense that it enables the body to float effortlessly. Spa Floatation Therapy is especially beneficial for pregnant women to relieve the aches and pains associated with latter stage pregnancy and swelling of the ankles. The Epsom Salt solution also helps to replace the mother’s depletion of magnesium, which nurtures the healthy growth of the unborn child. An hour of suspended gravity in a Flotation Tank not only reduces stress and heaviness of the body, but allows the mother to focus on and bond with the baby in the quiet seclusion of a Flotation Tank. It can be seen therefore, that Spa Floatation Therapy is a welcome addition to the many beneficial treatments Spa Wellness Centers and Destination Spas are known to provide. SpaSeeker will be happy to help you locate a suitable spa venue so you can experience first-hand the proven benefits of this latest and exciting Spa innovation.